Charitable Fund «Pope for Ukraine» Initiative provided 500,000 EUR grant to Emmanuel Charity Association for implementation of projects aimed at providing help and restoration of conflict-affected population of eastern Ukraine. 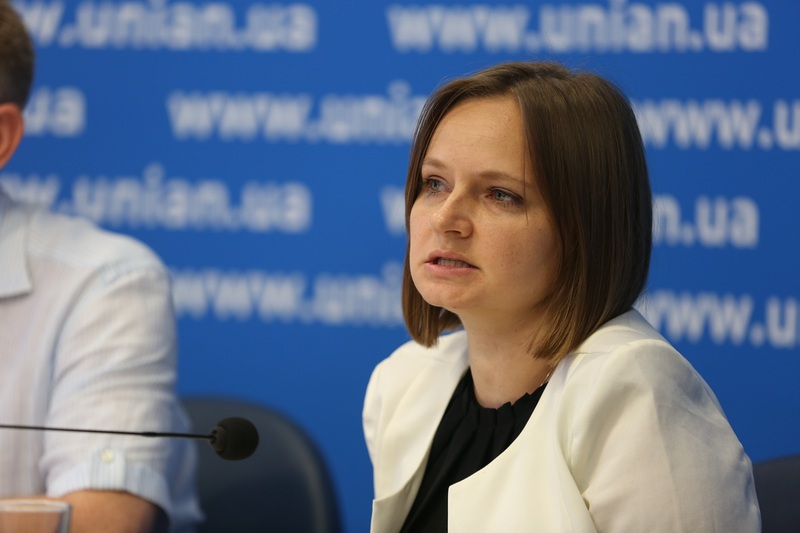 Galina Kucher, the head of Emmanuel’s Social Projects Department, and Yelena Kulygina, press-secretary of the Charitable Fund «Pope for Ukraine» Initiative, shared the details of this cooperation in course of a joint press-conference at UNIAN news agency. The head doctor of Kramatorsk City Hospital Burns Department Oleg Andreyev and project manager of construction and heating projects, Dmitry Mishenin, also participated in the press-conference. The participants shared information on how the finances will be allocated and in what way they are going to help the population of Donbass. “It wasn’t that we received this grant «out of blue», – Galina Kucher said. – We have been preparing and holding negotiations for over six months. We have submitted several grant applications over this time. As a result, we were able to receive a grant amounting to 499 495 Euro. These finances were raised by the Pope Francis in order to help people affected by the military conflict in the east of Ukraine. This grant is multi-faced and it will cover several projects. Part of the allocated finances amounting to almost 150,000 EUR are now being used to organize the so-called «Territory of Peace» summer camps in the conflict-affected zone for over 2,000 children. Also, the project of delivering hard-fuel boilers for the villagers of frontline Maryinka and Krasnogorivka was launched successfully. These two towns have been deprived of gas supply for the last three years. The locals would use all possible options of heating in winter and survived by using wood-burning stoves. Now, with the help of “Pope for Ukraine” initiative, we have this possibility to replace the gas boilers for hard-fuel ones. This will help about 1410 families. There is another project that we have recently started. There are two kindergartens in the town of Maryinka («Strumochok» and «Zoloty Kliuchick») that weren’t functioning because of no gas heating. This grant will give us finances to install mobile heating complexes there. This means that children (up to 600 kids for each kindergarten) will be able to attend the facilities and enjoy communication with their peers. When the locals heard the news about the construction works, over 200 children signed up for the kindergarten just in one week! The kindergartens with renewed heating systems will open their doors on September 1 to welcome these children. Another project that we have been dreaming about since 2014 was modernization of Burns Department of Kramatorsk city Hospital #3. It’s the only burns unit in Ukraine-controlled part of Donetsk region that accepts patients with burns. The situation in this department was pretty difficult – the OR and Intensive Care are located on the second floor and nurses had to actually carry the patients upstairs. Now that we received the grant finances, we can install an elevator, repair the rooms, install air conditioners and other equipment to make the doctors and the patients fell more comfortable. It’s very important to do because up to 20% of the patients are children. Another part of the grant finances will be allocated to provide free medical and dental care to IDPs living in Kyiv or Kyiv region. This will be done at Emmanuel’s «Medical Mobile Clinic» in Kyiv in July and August. The patients will have a chance to undergo medical diagnostics and treatment and receive free medicines, if needed» – shared Galina Kucher. Yelena Kulygina – “Answering the call of Pope Francis, all catholic parishes of Europe raised about 16 million Euro that now are being allocated to cover various needs of IDPs and people living in the so called “grey zone”. As of today, we have implemented over 100 various projects! Emmanuel Charity Association is our faithful Partner realizing the fourth project in the framework of «Pope for Ukraine» Initiative. We see Emmanuel Association as a trustworthy and faithful Partner implementing exactly the tasks that Pope Francis asked us to fulfill in Ukraine. It is the desire of the Pope to help all Ukrainians affected by the war in eastern Ukraine, regardless of their faith or political views”. Andreyev Oleg Vadymovych: “Our cooperation with «Emmanuel» Association started in 2014 and they have provided enormous support to our Burns Department! They helped us replace all hospital beds, purchase some modern pieces of equipment and xenoskin for the patients with burns. Two months ago, with the help of Emmanuel Association we finalized the repair of three hospital rooms and a hall. Now, thanks to the grant finances, we’ll be able to cover more urgent needs of the Burns Department”. Dmitry Mishenin: “At the moment, we are delivering and installing hard fuel boilers for the most needy people in Maryinka and Krasnohorivka. We have finished the installation process in 60 houses by now. With the kindergartens repair, we are delivering all needed construction materials and the construction works will be finished in two weeks. Next week we plan to start drilling a well in Bakhmutka to overcome the drinking water problem». The grant finances will be allocated between these six projects as follows: 150,000 EUR – for children summer camps, 150,000 EUR for purchase of hard-fuel boilers for the locals of Maryinka and Krasnohorivka; 72,000 EUR for medical help to IDPs and modernization works of Burns Department of Kramatorsk City Hospital; 8,100 EUR for repair of each kindergarden; 1,500 EUR for construction of well in Bakhmutka village. 97% of the grant finances will be used for actual help, 3% are additional expenses. We have a zero administrative expenses in this grant (all of the administrative expenses are fully covered by «Emmanuel» Association). We thank Pope Francis and all caring Catholic Christians who answered his call to help the suffering people of Donbass!